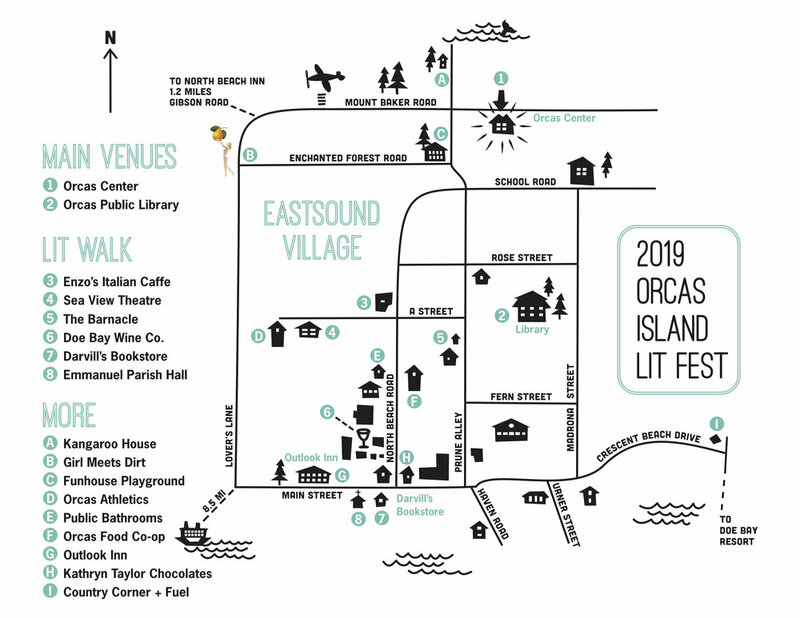 Click here to download the Orcas Island Lit Fest map shown below. For a full schedule of festival events, click here. PHASE 1 / 4–4:45 p.m. PHASE 2 / 5–6 p.m. PHASE 3 / 6:30–7:15 p.m. PHASE 4 / 7:30–8:15 p.m.